This carefully curated outdoor oasis sits on 421 acres in the Chattahoochee National Forest and a perfect weekend getaway, family retreat or income producing retreat center. 370 acres are in perpetual conservation easement with 2 3-acre reserved building envelopes. 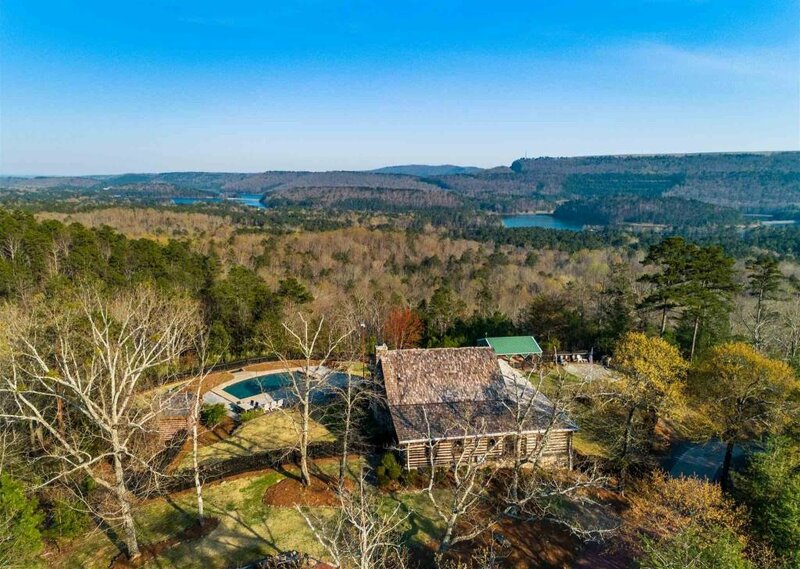 The remaining 52 acres surrounded by the easement land has 4 log cabin structures, 2 large pastures, hiking trails,small pond, gunite salt water pool, fire pit, sport court, 2 pavilions, amazing sunrise/sunset views and much more. Listing courtesy of Hardy Realty and Development Company.